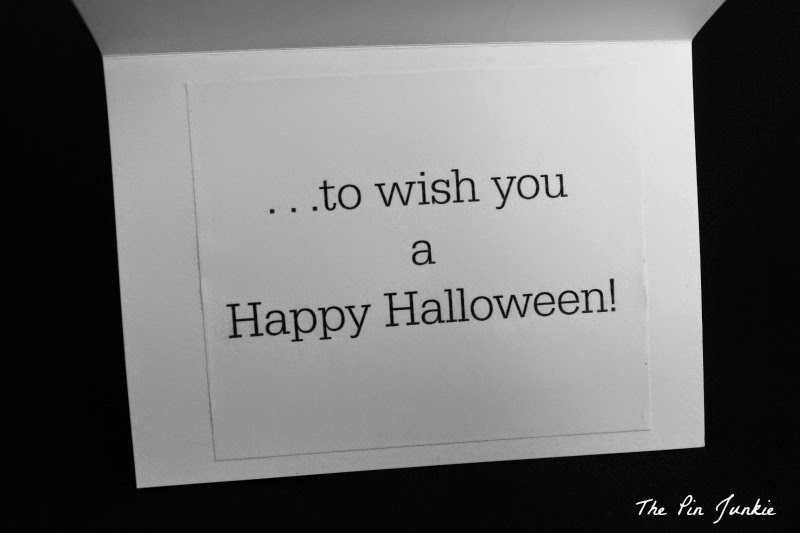 Looking for a perfect Halloween card? Look no further! 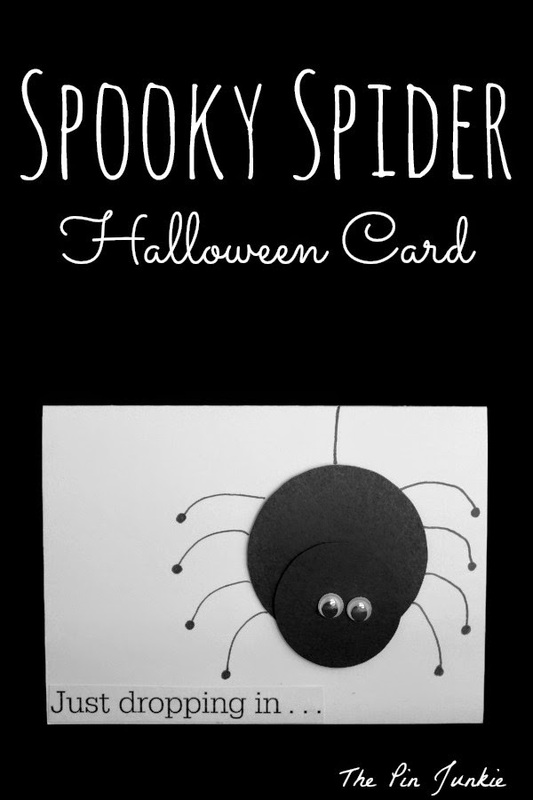 It's easy to wish someone a Happy Halloween with this spooky spider Halloween card! It's so easy, you can probably make this cute card in less time than it takes to go to the store to buy one. 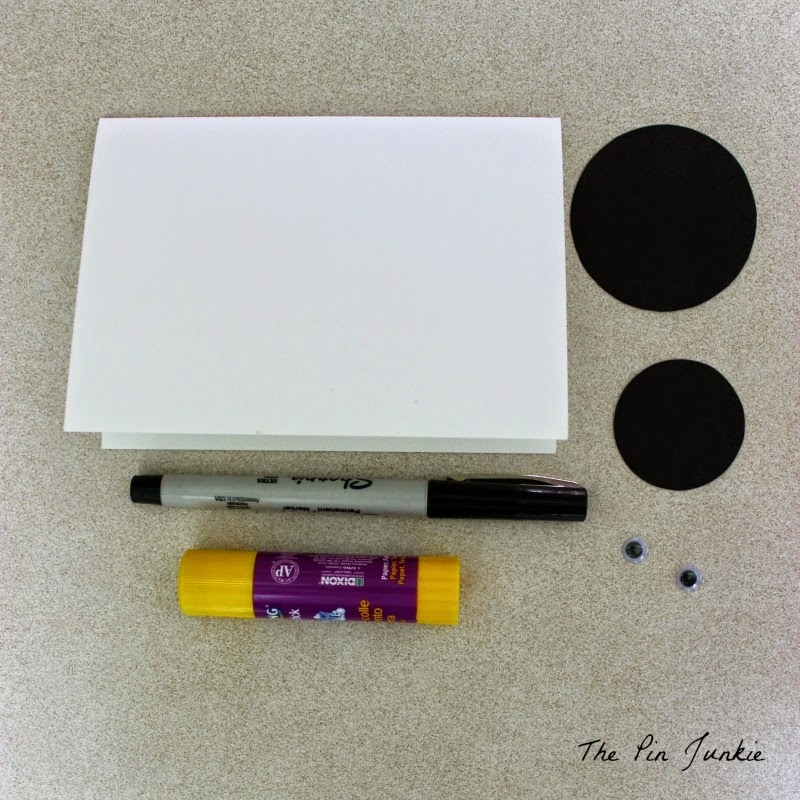 Make this card in minutes with some basic supplies you probably already have. Cut two circles from the black paper. I used a 2 1/4 inch circle for the spider's body and a 1 1/2 inch circle for the spider's head. 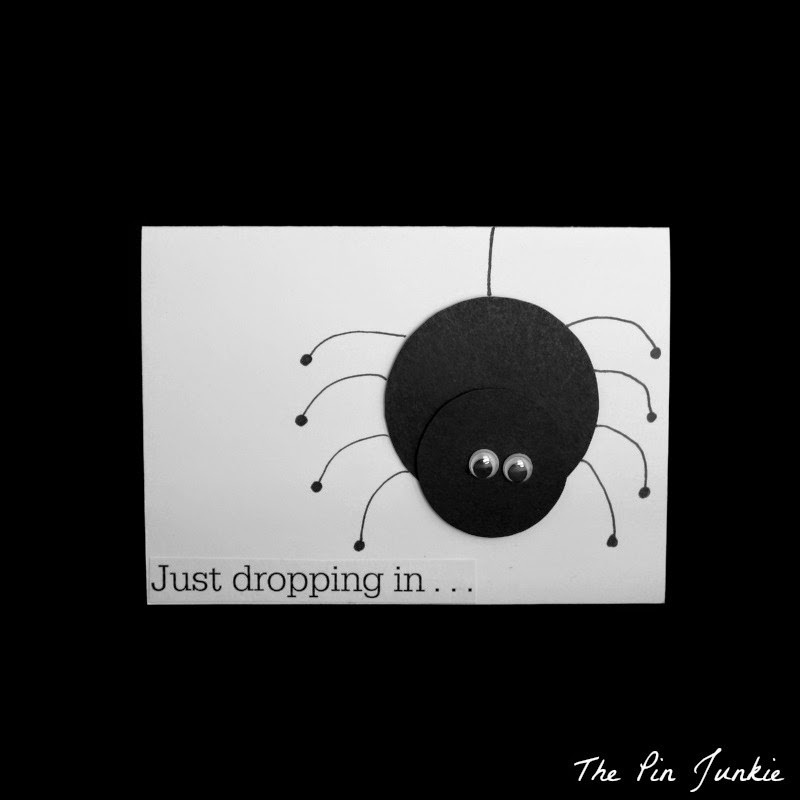 First, glue the circles onto the front of the card. Next glue on the googly eyes. Then draw the legs with a pen or Sharpie. Easy peasy! I also printed out the text for the card and glued it on. I would have liked to print it directly on the card, but couldn't figure out how to do it. I'll have to figure that one out, because I think it would look a little nicer. Thanks for the feature Carrie! I appreciate it! Lovely card! Looks so easy to do. The project it is so cute! This is soooo cute! I can't wait to try this, and the wording(Just dropping in) is priceless! I would love if you would stop by and share this post at my blog party, Celebrate It! It's all about celebrating the everyday things we do! So cute and the saying is perfect! Thanks for sharing with SYC. This is so simple and cute! I love it. Thanks so much for sharing at Inspire Me Wednesday. Featuring you in this week's issue. This is a perfect idea for the kiddos to make. They could give it out to their friends at school. Thanks for linking up to Show Me Saturday. This spider is adorable! Love the card! Thanks for sharing with us at Your Designs This Time. Bonnie, what a simple way to make a cute spider! Thanks for the tutorial. If you figure out how to print directly on the card, you'll have to make another tutorial for that. This has been pinned to the Retro Re-pin Party Board and I hope to see you again starting Tuesday at 8 p.m. ET.